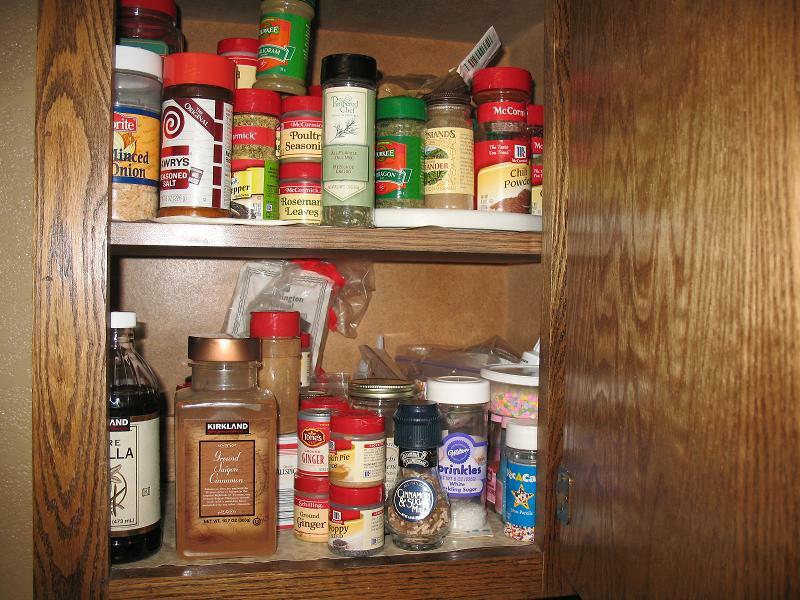 Well actually I just mean that my cupboard has MANY spices!! Spices, herbs, seasonings - whatever you want to call them - I got 'em! If you do a lot of cooking and like to try new recipes, you end up with lots of spices. They take up a lot of my cupboard space. See? Of course, that's not all of them. A few are in another cupboard. I thought you might like to see my list of spices to see if you can top it! Plus you'll have the bonus of getting your spices organized and seeing just what you have! I'm actually really glad I made this list. Now I can keep the list handy and refer to it when I need to know if I have a certain spice for a recipe. Maybe this is a short list for you foodies out there, but I think it's long for the average cook. Right? You tell me! Whatcha got in your spice cupboard? Are you *spicy* like me?! Have a super day my friends! Yeah, September is going to be interesting my friend. I started laughing because not only does your cupboard look like mine with all the spices but we have almost all the same spices! LOL! Big no one really needs 3 things of cumin but ends up with them when she really meant to buy curry and forgets when she gets to the store size hugs to you! I wish my cupboard is like yours. So loaded with all the spices. You are one spicy lady! You'd better get cooking and use some of that good stuff. I wish I had a spice cupboard! 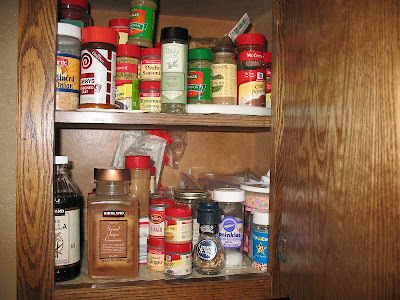 Not to say that I don't have spices, they just happen to reside in a rubbermaid for lack of cupboard space. Plus, just like my clothes, I use about 10% of my spices 90% of the time. Ah well! Wowee, and I thought my family had a lot of spices and extracts. We tend to buy things for one recipe, and then never use them again :( Sometimes we look for recipes using a specific spice or extract though!